Item # 277365 Stash Points: 3,495 (?) This is the number of points you get in The Zumiez Stash for purchasing this item. Stash points are redeemable for exclusive rewards only available to Zumiez Stash members. To redeem your points check out the rewards catalog on thestash.zumiez.com. Turn heads with the Blind Blondie 8.25" Skateboard Deck. Featured with a photo graphic of a stunning blonde bikini model and an overall white and teal colorway. 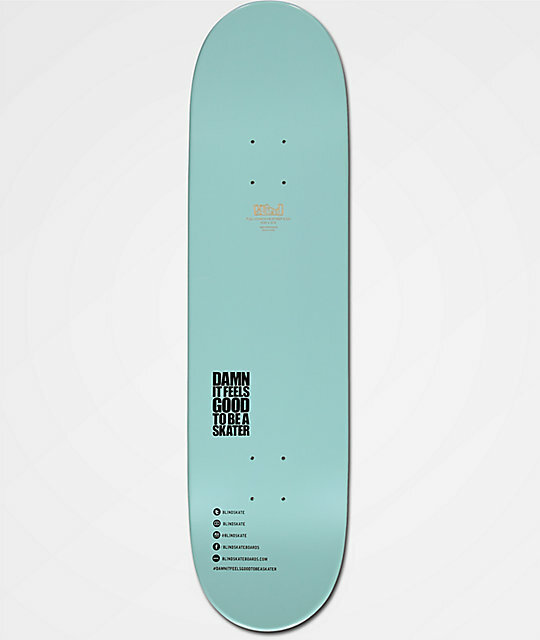 Built from Blind's durable epoxy resin construction, this board boasts lightweight longevity. Blondie 8.25" Skateboard Deck by Blind. Epoxy resin 7-ply hybrid maple construction. Full concave with steep kick for pop. 90 Day Warranty against warpage, manufacturers defects and overall craftsmanship.